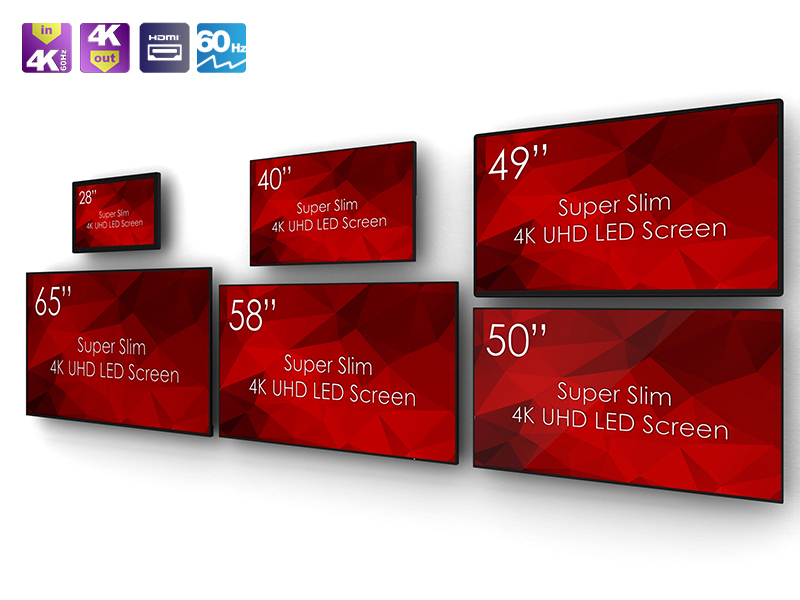 SM-58K1-01 SWEDX 58 tum Ultra HD LED-Screen. 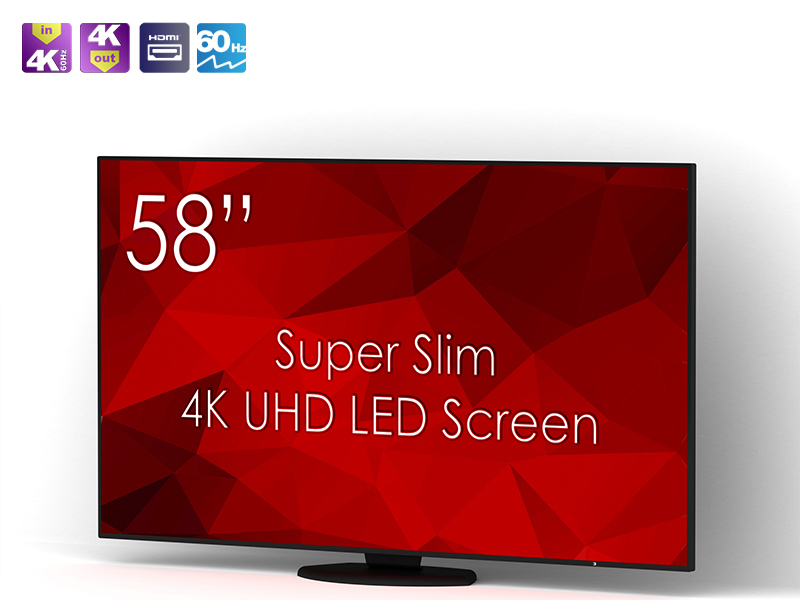 Now you can enjoy every deta..
SM-58K1-01 SWEDX 58 tum Ultra HD LED-Screen. 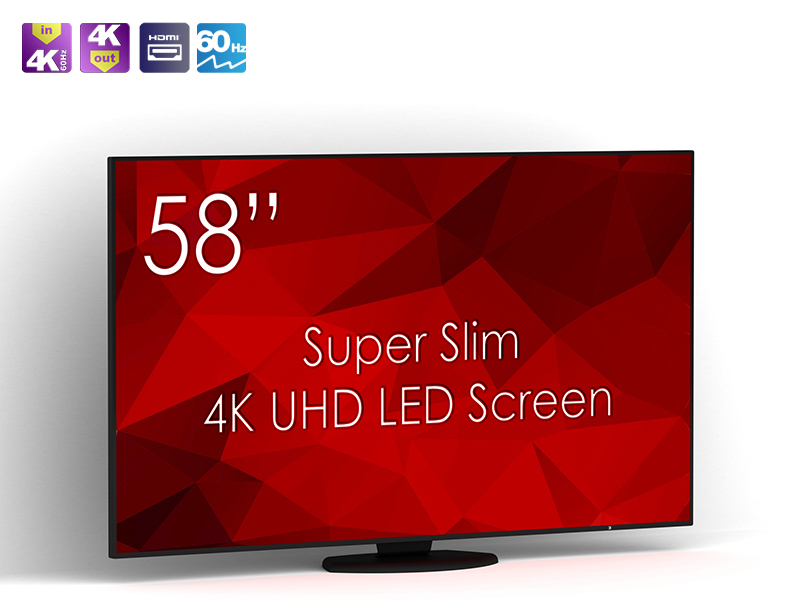 Now you can enjoy every detail in the picture thanks to SWEDX Super Slim SM-58K1-01. 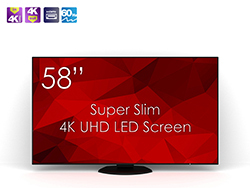 Swedx 58 inch 4K Ultra HD LED Displays (3840x2160 pixels) offer Best in class display solution deliver Unparalleled Ultra HD sharp and colorful image for native 4K and up scaled content. Impressive clarity and detail experience with four times the resolution of Full HD Performance for high resolution applications. 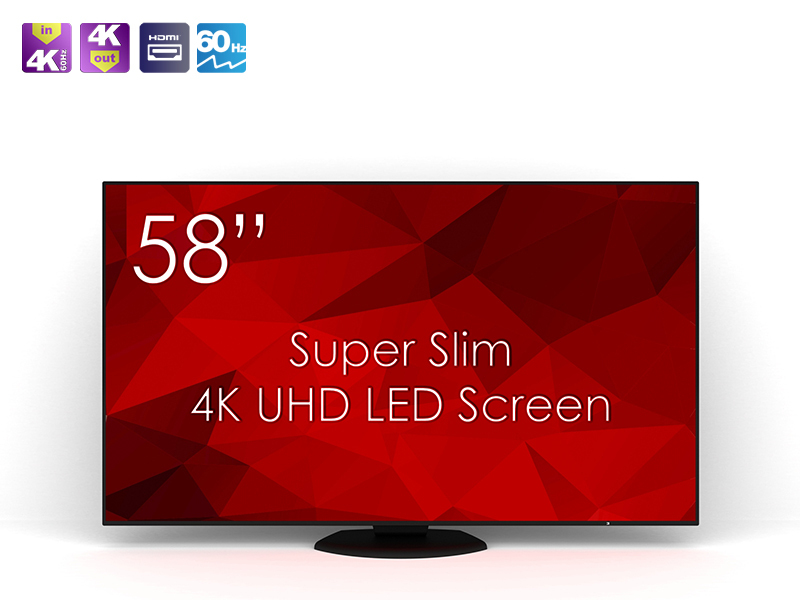 Designed to make 4K technology accessible, affordable, and easy to implement Interchangeably with HD, Full HD and Ultra HD sources. 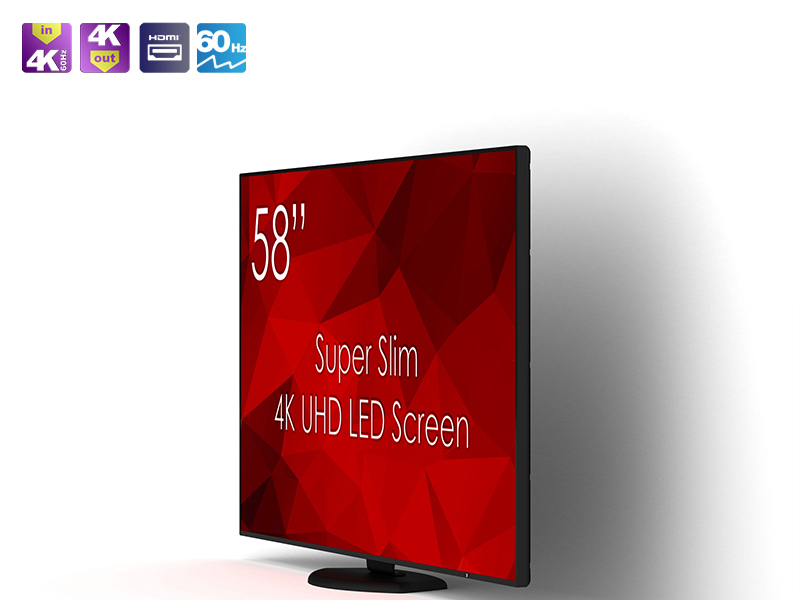 This model is packed with 3 HDMI inputs, all HDMI are HDMI 2.0 Support UHD signal 3840x2160p @60Hz . 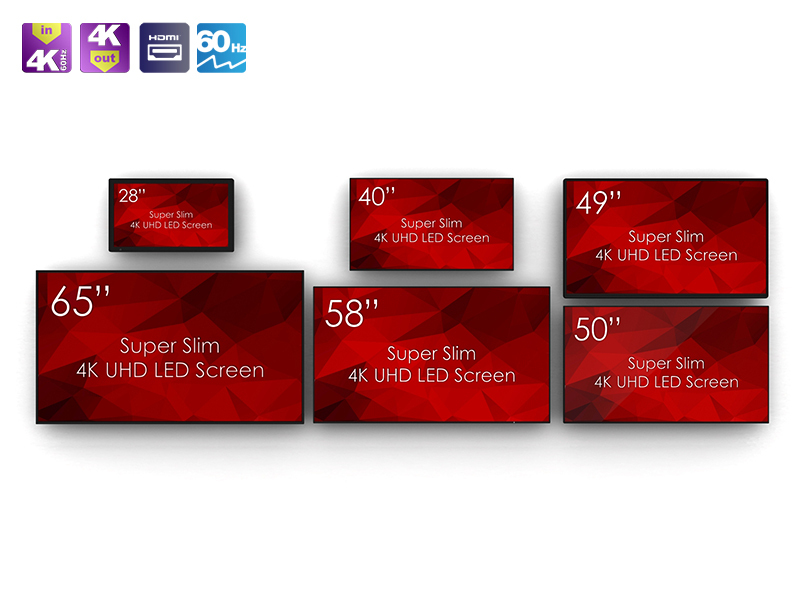 SM**K1-01 models support 3840x2160 @ 60hz through HDMI.